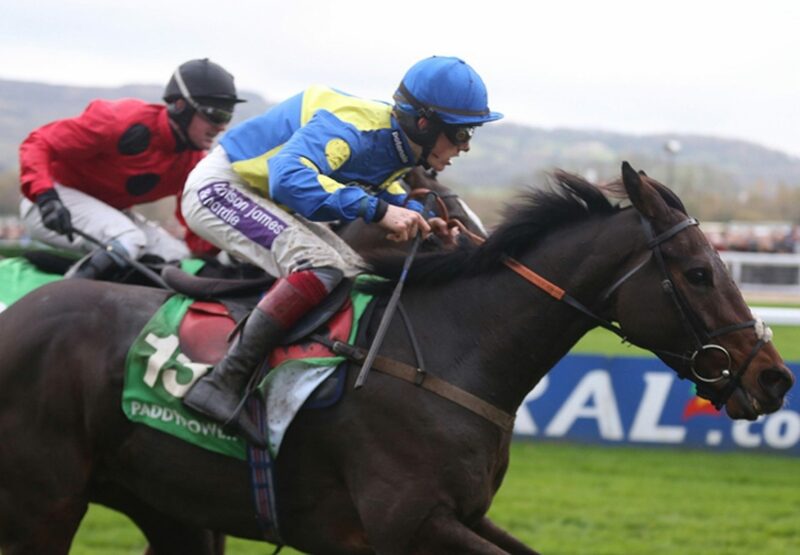 Caid Du Berlais (5g Westerner-Kenza Du Berlais, Kahyasi) got up in the shadows of the post to deny Johns Spirit a second successive G3 Paddy Power Gold Cup in a thrilling finish to the feature race at Cheltenham this weekend (pictured). Jockey Sam Twiston-Davies conjured up an amazing finish from the five-year-old, who was bred in France by Jean-Marc Lucas, on the line and continue an excellent couple of days for Westerner. Trainer Paul Nicholls was visibly delighted following the race and said: ”Sam’s given him a lovely ride. The plan was always to follow Johns Spirit, come wide and pounce late and it’s come off perfectly. “He’s run well here before as well so we know he likes the track. I’m delighted for Sam and delighted for the team at home as well.” Twiston-Davies was also wreathed in smiles following the race and explained that the horse had done exactly what was asked of him. 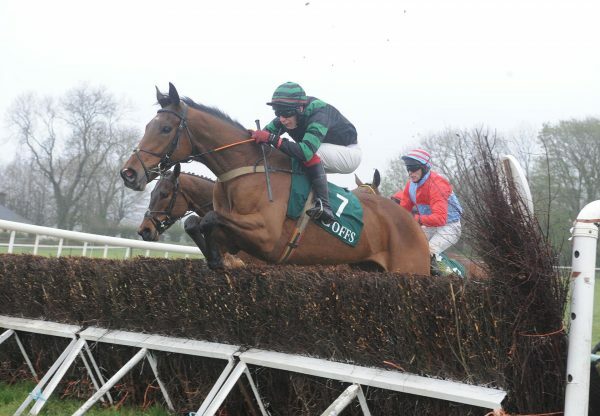 “It’s amazing – this is what this job is all about,” said the jockey. “It’s a great team at Paul’s and I’m happy to be riding big winners for him. The plan was to follow Johns Spirit and pounce late and although we were a bit further back at the last than I’d hoped, he’s picked up well and flown up the hill. 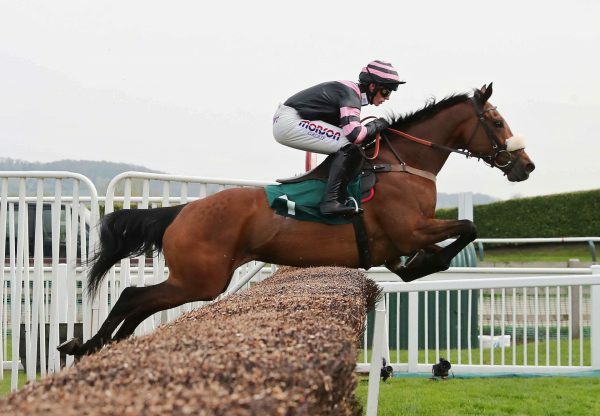 He’s still only young and maybe there’s a bit more to come from him.” On Friday, Champagne West (6g Westerner-Wyndham Sweetmarie, by Mister Lord) was an easy novice chase winner at Cheltenham for Westerner, who had a couple more eye-catching successes on Saturday. 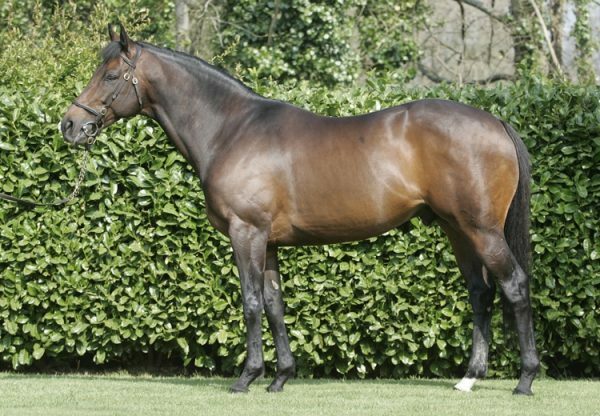 At Uttoxeter, Gunner Fifteen (6g Westerner-Grandy Hall, by Saddlers’ Hall) won a novice hurdle by 16 lengths, prompting the Racing Post to commented that he “came clear to win with any amount in hand and looks to have a bright future … he’s a tall, scopey individual who should go on to be an even better chaser.” Meanwhile, the feature handicap chase at Wetherby was won by What A Good Night (6g Westerner-Southern Skies, by Dr Massini) whose trainer Dan Skelton commented that “he’s definitely a progressive horse”.